Mathematical equations can make Internet communication via computer, mobile phone or satellite many times faster and more secure than today. Results with software developed by researchers from Aalborg University in collaboration with the US universities the Massachusetts Institute of Technology (MIT) and California Institute of Technology (Caltech) are attracting attention in the international technology media. A new study uses a four minute long mobile video as an example. The method used by the Danish and US researchers in the study resulted in the video being downloaded five times faster than state of the art technology. The video also streamed without interruptions. In comparison, the original video got stuck 13 times along the way. - This has the potential to change the entire market. 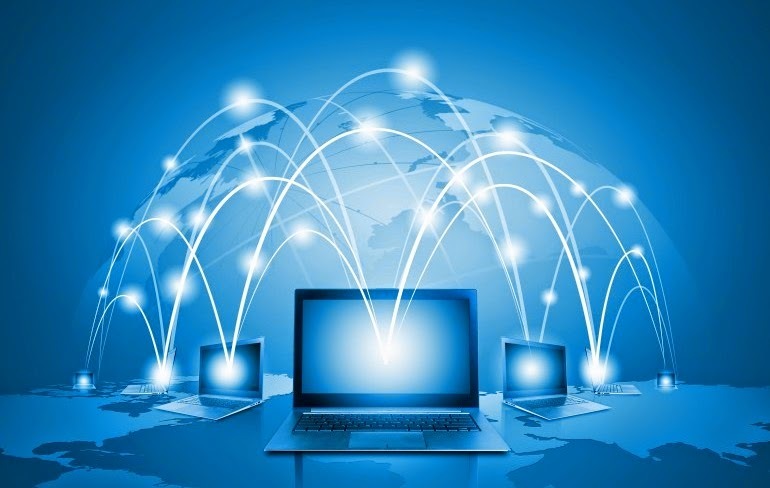 In experiments with our network coding of Internet traffic, equipment manufacturers experienced speeds that are five to ten times faster than usual. And this technology can be used in satellite communication, mobile communication and regular Internet communication from computers, says Frank Fitzek, Professor in the Department of Electronic Systems and one of the pioneers in the development of network coding. Internet communication formats data into packets. Error control ensures that the signal arrives in its original form, but it often means that it is necessary to send some of the packets several times and this slows down the network. The Danish and US researchers instead are solving the problem with a special kind of network coding that utilizes clever mathematics to store and send the signal in a different way. The advantage is that errors along the way do not require that a packet be sent again. Instead, the upstream and downstream data are used to reconstruct what is missing using a mathematical equation. With the old systems you would send packet 1, packet 2, packet 3 and so on. We replace that with a mathematical equation. We don’t send packets. We send a mathematical equation. You can compare it with cars on the road. Now we can do without red lights. We can send cars into the intersection from all directions without their having to stop for each other. This means that traffic flows much faster, explains Frank Fitzek. 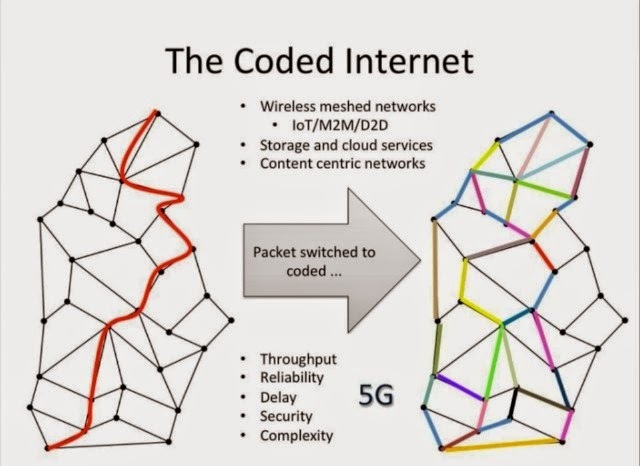 Network coding has a large application field for Internet of Things (IoT), 5G communication systems, software defined networks (SDN), content centric networks (CCN), and besides transport also implication on distributed storage solutions. In order for this to work, however, the data is coded and decoded with the patented technology. 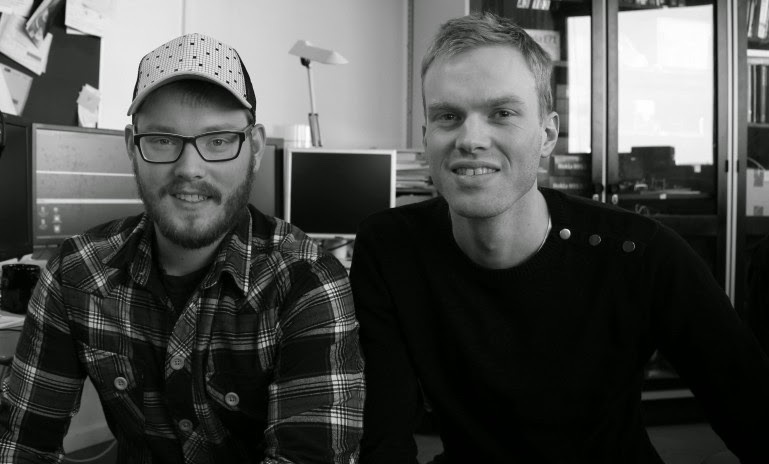 The professor and two of his former students from Aalborg University, developers Janus Heide and Morten Videbæk Pedersen, along with the US colleagues, founded the software company "Steinwurf." The company makes the RLNC technology (Random Linear Network Coding) available to hardware manufacturers and they are in secret negotiations that will bring the improvements to consumers. As part of the effort Steinwurf has established an office in Silicon Valley but the company is still headquartered in Aalborg. I think the technology will be integrated in most products because it has some crucial and necessary functions. The only thing that can stop the development is patents. Previously, individual companies had a solid grip on patents for coding. But our approach is to make it as accessible as possible. Among other things, we are planning training courses in these technologies, says Frank Fitzek.